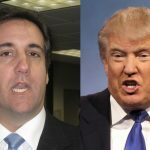 (3) I would not want to be Michael Cohen right now. What’s important to keep in mind is that the DOJ and US Attorney’s office have often gone after lawyers who they believe are associated with a criminal enterprise. The DOJ has successfully investigated and even prosecuted attorneys who they feel are part and parcel of criminal organizations. Lawyers for Mafia defendants; biker gangs; and narcotics rings face this type of scrutiny on a regular basis. Noted criminal defense attorney Lynne Stewart was prosecuted, convicted and disbarred for helping Sheik Abdel Rahman’s terrorist organization exchange information with the Sheik while he was incarcerated pending trial. It’s called the “Crime-Fraud” exception to the attorney-client privilege. Because the attorney-client privilege belongs to the client, it is the client’s intent that determines whether the exception applies. Most courts will apply the exception even if the attorney had no knowledge of, and didn’t participate in, the actual crime or fraud. That makes this search on Cohen interesting because it may indicate a belief by Mueller and the DOJ that Cohen’s client (then-Candidate Trump) may have known or participated in something wrong and may have roped Cohen into it or tried to have Cohen cover it up. But the search could also be seeking documents that are simply not covered by the attorney privilege. The attorney-client privilege is often strictly confined to its narrowest possible limits by courts, which often conclude that communications are privileged only if the statements do in fact reveal, directly or indirectly, the substance of a confidential communication by a client or the legal advice provided by the attorney. Communications between an attorney and a third party at a client’s request. Also, if a third party was copied on the communication who is not also in an attorney-client relationship with the attorney, then the communication is not privileged. So there could be lots of material in Cohen’s possession that is not protected by the privilege. E. The search warrant should be drawn as specifically as possible, consistent with the requirements of the investigation, to minimize the need to search and review privileged material to which no exception applies. F. To protect the attorney-client privilege and to ensure that the investigation is not compromised by exposure to privileged material relating to the investigation or to defense strategy, a “privilege team” should be designated, consisting of agents and lawyers not involved in the underlying investigation. Instructions should be given and thoroughly discussed with the privilege team prior to the search. The instructions should set forth procedures designed to minimize the intrusion into privileged material, and should ensure that the privilege team does not disclose any information to the investigation/prosecution team unless and until so instructed by the attorney in charge of the privilege team. Privilege team lawyers should be available either on or off-site, to advise the agents during the course of the search, but should not participate in the search itself. G. A system of review of the material gathered pursuant to the warrant must be submitted to DOJ prior to the issuance of the warrant and the review protocol should be attached to the application for the warrant so that the reviewing judge can see the steps to be taken to protect the privilege. So, the Cohen search warrant likely passed through all these steps. While many senior DOJ and Assistant US Attorneys have left (or fled) the office under the Trump Administration, I am certain there are many still there with experience in properly crafting and executing search warrants on attorneys. What this all means is that the hysteria from the President and his supporters about how this step in the Cohen investigation attacks our country’s core principles is just a lot of hot air without substance. Hopefully, this incident will make the public more aware of the breadth and scope of the DOJ’s and US Attorney’s Office’s power and the limits on the attorney-client privilege. I have written here previously about how the Mueller investigation has demonstrated the purpose and scope of the Fourth Amendment and the purpose and scope of the Fifth Amendment So I hope people are starting to realize how serious and dangerous it is to be the subject of a Federal criminal investigation. I think the President is certainly starting to get that message.